On March 13, President Debora Spar and the Barnard community welcomed Queen Noor of Jordan; Nobel Peace Prize Winner Leymah Gbowee; CARE USA CEO Helene Gayle ’76; President of the Goldman Sachs Foundation and Founder of 10,000 Women Dina Powell; New York City Commissioner for International Affairs Penny Abeywardena; and more than a dozen other women leaders from around the world for the Seventh Annual Global Symposium, Women Changing the World. In a series of discussions addressing some of the most pressing questions facing women, the guests represented a range of fields including business, media, the arts, finance, government, and academia. The Global Symposium—which since 2009 has gathered women leaders in cities around the world including Beijing, Dubai, Johannesburg, Mumbai, Sao Paulo, and Shanghai—was held in New York City for the first time this year in celebration of the College’s 125th Anniversary. Chair of Barnard's Board of Trustees Jolyne Caruso-Fitzgerald ’81 and President Spar gave opening remarks, welcoming guests to campus and reflecting on this history and legacy of the Global Symposia series. Abeywardena also made remarks, noting the significance of this year's event for New York City. The first session, “Generating Change Through Global Initiatives,” featured Gayle, Queen Noor, and Powell, and explored programs that impact women around the world. “Women could play a significant role in diminishing much of the instability that exists at the community level and ultimately the national level, especially if their voices were in policy-making at the top levels,” said Queen Noor. “We would see…less military emphasis and more on development, more on human rights, more on inclusive participatory decision making.” Panelists also talked about the importance of educating women. “When women bring economic value, it earns immediate standing and respect,” said Powell. Watch the full panel. At the second session, “Chronicling Change in the Economy and Media,” participants talked about a range of topics, including the interplay between money and power, and how women in newsrooms help shape media coverage. Speakers included Maria Cristina Frias, columnist and board member of Folha de Sao Paulo; Robin Morgan, cofounder of the Women’s Media Center; Mamphela Ramphele, activist, researcher, and former managing director of the World Bank; and Gillian Tett, U.S. managing editor of Financial Times. The panel was moderated by Barnard Provost Linda Bell. In talking about feminism, activist Morgan said, “You owe us nothing. Go out into the world and save it.” However, she added, “You owe yourselves and each other everything.” In talking about media, Tett said, "The reality is that women are still very underrepresented at the senior echelons of journalism." The panelists each urged students to develop confidence and persistence. “Tenacity is the word of the day,” said Bell. Watch the full panel. In the third session of the day, “Leading Change Through Social Activism and Social Entrepreneurship,” the audience heard from Kiran Bedi, founder of the Navjyoti India Foundation, India’s first and highest-ranking police officer; Nobel Peace Prize Winner Leymah Gbowee; Ndidi Nwuneli, founder of LEAP Africa and cofounder of AACE Foods; and Wu Qing, professor and activist. Moderator Kathryn Kolbert, Constance Hess Williams ’66 Director of the Athena Center for Leadership Studies, led off by asking the panelists about their “secret sauce” for success, and how they find the courage to do difficult work. “For me, courage has been like a muscle, building a muscle through exercise, taking the first plunge,” said Nwuneli. Watch the full panel. The final panel, “Creating Change Through the Arts,” featured graffiti artist Panmela Castro, who, earlier this week, created a special mural for the College in The Diana Center; visual artist Xing Danwen; Jessica Greer Morris, playwright and executive director of Girl Be Heard; and novelist and political commentator Ahdaf Soueif. Professor Yvette Christianse, the session's moderator, noted, “The place of art in the world where women have to take care of all the practicalities, the political issues, of the financial issues, the educational issues—there has to be somewhere for the psyche, for the heart, for the thinking mind to imagine.” Said Morris, "We think art can change the world." Watch the full panel. Check out local, national, and international coverage of this year's Symposium. 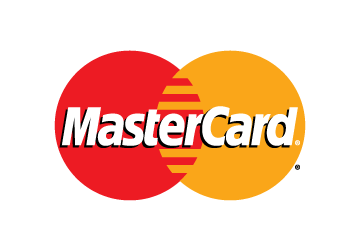 by the generous support of MasterCard.